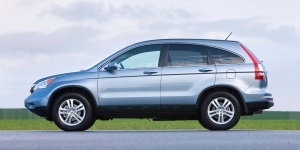 For 2010, the CR-V receives a new front bumper and headlights, redesigned hood, and new rear bumper shape plus subtle changes to the interior. EX-L models come with auto on/off headlights. The engine's output increases to 180 hp.